4 Bedroom Detached House For Sale in Burnham-on-Crouch for £495,000. Come and join us for tea and cake on our open day Saturday the 27th of April from 10am to 4pm where you can view our stunning show home. 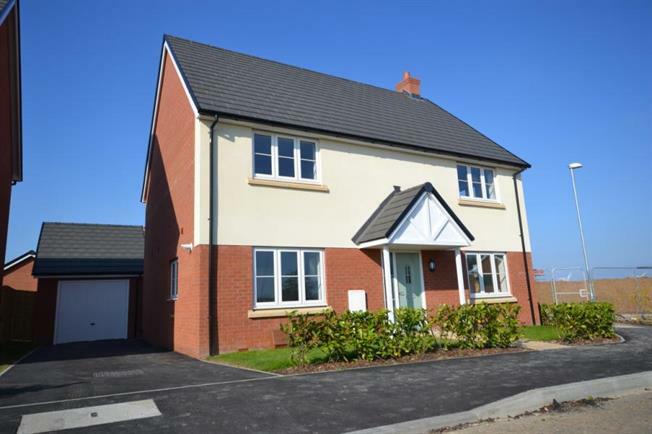 Plot 2 The Harrier A- This executive home comes complete with a single garage and features on the ground floor a large kitchen/family room with double doors leading to the rear garden. There is also a separate utility room. Doors from the hallway lead to a separate dining room and to a large living room with double doors also leading out to the rear garden. On the first floor there are 4 good sized bedrooms with both the master and the second bedroom offering ensuites plus a family bathroom. This house has a detached single garage and drive way parking for 2 cars. Barley Fields is located close to the railway station which has direct lines into London Liverpool Street taking just over an hour to get to the capital. The town is easily accessible to commuters using the B1010 that gives access to the A130, A13 and the A127 leading to the M25. Southend Airport can be reached by train or road. The area is served by schools for all ages with a weekly market and has a charming high street offering a cinema, several restaurants and plenty of public houses making Burnham an ideal place to live for all ages. The show home and marketing suite are open daily from 10am to 5pm. Conditions apply on our Assisted Move scheme please ask for details.